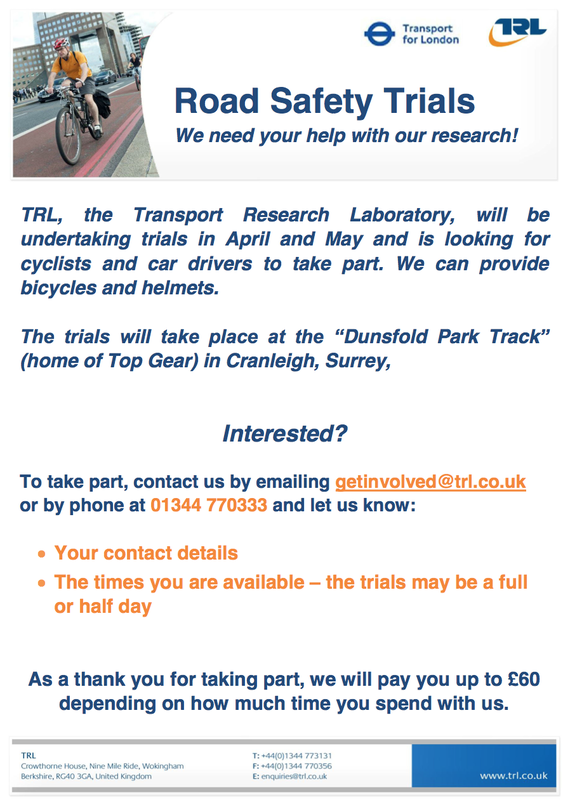 The Transport Research Laboratory (TRL, www.trl.co.uk) is currently recruiting participants to take part in some Road Safety Trials which they are running on behalf of Transport for London (TfL) at the Dunsfold Park Track (home of Top Gear) in Cranleigh, Surrey. 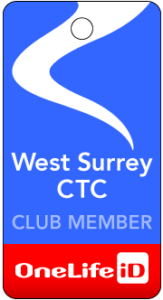 The trials will be taking place during April and May this year and they are seeking mainly cyclists (aged 18 or over) and some car drivers to take part. You could earn up to £60!